The beauty of a daily tantric practice is you set the tone of your entire day, simply by vibrating from pleasure. Not necessarily from sexual pleasure, although that may be part of your practice, but from the pleasure of the heart, soul and senses. When you rise in the morning and the first thing you do is pray/meditate/commune with the sacredness of life by chanting, yoga, singing, dancing, praying, sitting silently, reading inspirational texts or simply sitting with the birds and the breeze, you imprint something onto your day. You welcome in the miraculous. You draw to you what you need for the rest of the day, people smile at you for no reason, things seem to work out, you notice beauty more around you…Tantric energy is pure life force, magic, miracles, and it begins with saying thank you, it begins with you, putting the Essence of Life before your personal agenda……there is a fragrance inherent in this that seduces life effortlessly, that makes the whole world shine even brighter. Shine your inner diamond and life will shine back at you. I promise. Not sure how to begin a practice? Not sure you even believe in “prayer” or a “God”?…It’s really okay. Because this practice is about you and what helps you align with the day, it’s not about ideology or religion…it’s truly about you finding the way into alignment with your deepest soul. Tip #1-Establish a Sacred Place for your Practice that you continuously return to. This place can be anywhere in your home or yard…but it should be free of electrical devices, mess, or other people’s stuff. You can have the traditional altar with sacred pictures, flowers, items, and candles, OR you can just have a nice spot in your favorite chair or near the window with your favorite view. Wherever it is, it should inspire a sense of beauty and ease. It can also be in the back yard …but try and create a spot where you feel private, clean and peaceful. -Tip #2::Do It Right Away. Don’t Make Coffee or Check Email First. Seriously. Your mind when you awake is fresh. You want to imprint it with the freshest most aligned energy you can, so that your practice is capable of doing the magic it is possible of doing. You set a tone when you wake up and speak to Life. It says you are prioritizing the things that really matter to you and Life responds based on that proclamation. -Tip #3:: Do a Practice. 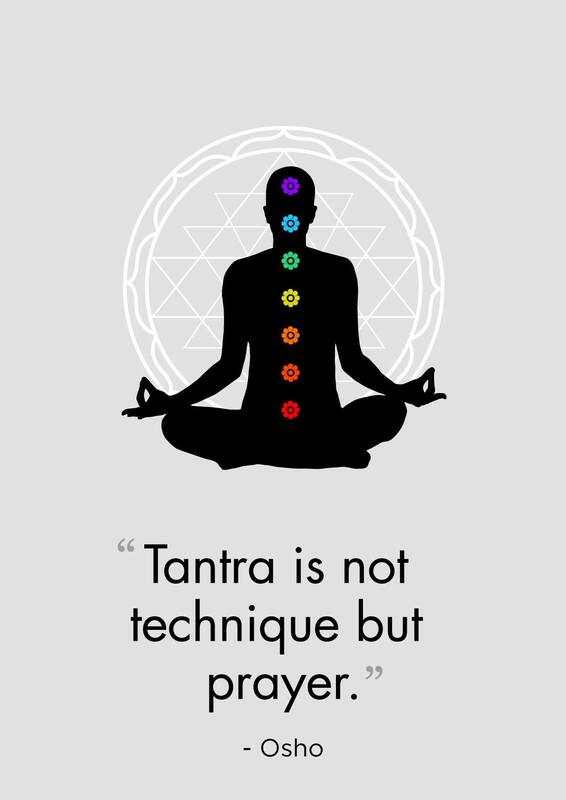 A mantra, an affirmation, a prayer, a tantric practice you picked up from a new workshop…something that you do regularly at least for a week. Give it some time and discipline to work. We need to create a field of resonance, a field of meditative energy. An actual practice, like mediation or mantra helps create that field to activate your sub-conscious. And bring you into more harmony with your soul. Try to do this for at least 10 minutes. Longer is always better. -Tip #4:: Do a Devotion:: After the practice portion let yourself also get creative. Sing, dance, pray out loud, journal, do something that really calls from your heart in a way that you creatively wish to speak to life. Our own creativity, which stems from no-mind is very powerful. I like to speak out loud, and really voice what I usually see transpiring in my meditation. I speak to Life just like a friend and I keep a journal to get the answers or reflections I recieve. I also like to dance, sing, and sometimes I just sway and do mantra, but I follow my creative inspiration and let that wisdom guide me for as long as I have time for. Often I discover great creative ideas, and insight from this portion of the practice. -Tip #5:: Close with Intention. Don’t just get up when the time is over as if getting up from the sofa. Do something to seal your practice. To make an offering to the energy you created so that it stays with you the rest of the day. I like to namaste and bow my head like in traditional yoga, you can also imagine a white light encircling all around you keeping that good energy with you or you can come up with your own way. Amen can be a nice traditional way or you can bow your head to the floor…Find what works for you. But seal the deal! -Tip #6:: Silence is Golden. Keep it silent. Meaning no radio or tv on.. Maybe some chant music is okay or sacred music but I personally think silence is best so you can really tune in to what is happening within you. So often music and media create habitual responses in us and throw us off as to what we are actually feeling. Wait till after your practice to put on your inspiring get ready for the day music…Let the birds carry you thru the practice part….If you can. If you live in a major city like I have in the past sometimes I have had to play some kirtan music to meditate as the garbage trucks were just too loud! -Tip #7:: Keep it Real. Authenticity is what it’s about. Don’t do your practice because you “should” or because you want something out of it. It’s okay if you are desiring to create better things in your life, but also remain humble….Just show up because the universe is awesome and you love to spend some time alone with it….Do your practice from your heart, and offer yourself to it… I promise your days will look a whole lot different. You might even notice more synchronicity and sense of ease happening alot more. I am not saying you will have no more challenges in life, but the rate of suffering and struggle will get less….I often notice distinct differences in my life on the days I have meditated and practiced than on the days I haven’t. See for yourself.